Leading Edge (LE): Can you describe JBS’s journey in Paraguay so far? Felipe Azarias (FA): We have been in Paraguay since 2005, with two meat processing units (Asunción and San Antonio) and a capacity for 1,600 heads per day. Businesses in Paraguay are mainly oriented towards the export market (85% of production). We have around 1,000 employees at the two plants. In August 2015, work began on the first plant built by JBS in a project with an investment of approximately $80 million, located in the Department of Concepción, the city of Belén, which has a privileged location: the largest concentration of cattle in the country within a 200 kilometre radius of the factory. The new plant should be ready in the second half of this year and will increase our slaughter capacity in Paraguay to around 3,000 head of cattle per day. It is expected that this new unit will generate about 1,200 direct jobs and 3,500 indirect jobs. LE: Tell us a little about your own career progression before taking up the position of General Manager at JBS Paraguay. FA: I started at JBS 11 years ago in an internship programme. During this time I have had the opportunity to work in different areas and job posts, such as imports and exports, in the parent company in Brazil, and also manage a slaughterhouse in the state of Mato Grosso. Later, I was invited to work as international sales director of the poultry processing company of JBS USA, Pilgrims, which is present in the United States, Mexico and Puerto Rico. After two years in Pilgrims in December 2015, I was invited to assume the presidency of JBS Paraguay. My background is in International Trade, with a postgraduate degree in Agro-Business at the University of São Paulo. When I left the United States for JBS Paraguay, I temporarily suspended an MBA in Administration and Management at Colorado State University. LE: Let’s skip forward now to talk about Paraguay’s position both in the region and internationally, and its growing credibility. FA: Paraguay now has a leading role in the economy of the Mercosur due to its significant and sustainable economic growth of around 5% annually over the last decade, combined with a low level of debt. These factors contributed towards the country’s transformation into the crosshairs of the region, which are the perfect combination for the country’s development. In addition to these economic indicators, it is clear that this favourable growth environment is based on the fact that Paraguay has a stable and liberal government with clear policies in a healthy and safe environment for national and international investors. 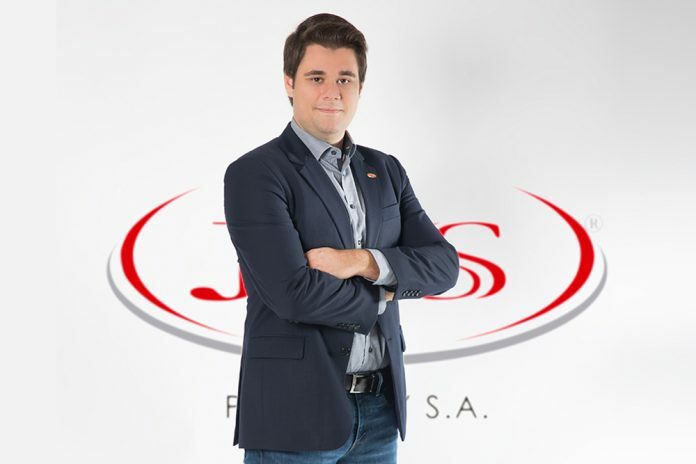 JBS, which has production platforms in five continents and in Mercosur (Brazil, Paraguay, Argentina and Uruguay), can very clearly endorse the performance of the operations and see the competitive advantages of Paraguay. The government is doing a very good job. LE: Tell us a bit about the history of JBS in Paraguay, and how “the new golden country” is going for the corporation. FA: When we began to look at the benchmark part of the entire operations in South America, we understood why Paraguay has a competitive advantage over other countries in South America. This is because we measured productivity and efficiency. The workforce of Paraguay is super qualified, as the people are very focussed on results. So, for example, when we look at the result of a deboning, the dedication of the staff is much greater than that of other countries in the region. So, apart from all the benefits, such as tax, the labour costs in Paraguay are much less than all the countries in the Mercosur because there are more competitive labour taxes. That does not mean that the worker earns less, but tax is of course lower. Apart from this, income tax is also low, with presumptive income tax much more competitive. Here in Paraguay it is only 10%, and if we look at any other country in South America it is 30% or 35%. In spite of all this, monetary stability, the existence of consistent programmes for attracting investment, there is also plenty of land and water, then agribusiness, agriculture and livestock are the Paraguayan giants, operating on a an important stage of strategic production, to provide food to the world.